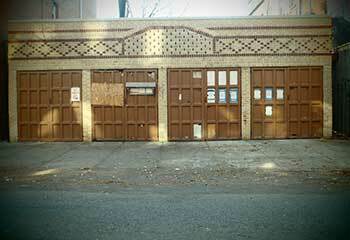 Is Your Garage Door Stuck Again? Let us fix it for you today! Give us a call now or schedule easily online! Our trained and experienced technicians will carry out any type of repairs you need. We specialize in replacing broken springs and fixing malfunctioning openers. Take a look at our latest projects and learn what else our team can do for you. Customer Issue: A decades-old garage door had taken enough weathering over the years that the owner decided to just replace the panels. Our Solution: A full set of imitation wooden garage door panels and insulation strips from Clopay took the place of the old set. The team lifted the door off its tracks, loosened and removed each panel, and secured the new ones in before reinserting the door into its tracks, testing, and insulating it. Customer Issue: Door opener not working. Our Solution: We opened and examined the opener and found a crack in the circuit board. We replaced it with a new board and tested the opener and the door’s movement several times to mak sure everything was in perfectly working order. Customer Issue: Misaligned safety sensor. Our Solution: After checking that the lenses of both the photo eyes were not damaged and the wires weren’t detached, we realigned both sensors carefully. We then tested the door to make sure that it reversed properly. Another problem fixed! Customer Issue: Garage door track damaged. Our Solution: We inspected both tracks and ascertained that only one needed to be replaced. We closed the door, loosened the damaged section and removed it carefully. 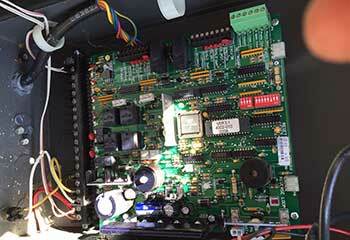 We installed a new one in its place and ensured it was securely fitted. 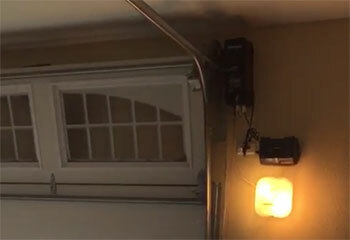 What’s The Best Type of Garage Door Opener for Me? Our technicians are fully trained and are highly skilled at fixing anything from openers to panels. Our trained technicians will not call a job done until you are completely satisfied with the results. Our short response time guarantees any problem you're dealing with will be resolved as quickly as possible. We only use replacement parts of the best available quality to ensure that our repairs are long lasting and reliable. We won’t settle for less than excellent customer service. It’s our goal to provide thorough and reliable services, no matter what kind of repair we’re performing: installing a new opener, lubricating torsion springs or fixing a faulty opener. Contact us now for an appointment or browse our site to learn more about what we offer. Thank you for choosing our company! Feel free to browse our website for more information in the meantime. 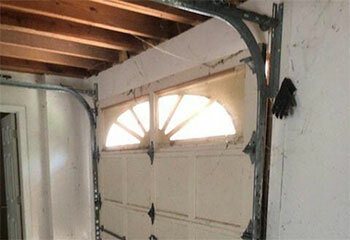 Our team at Garage Door Repair Waltham is at your service any time!